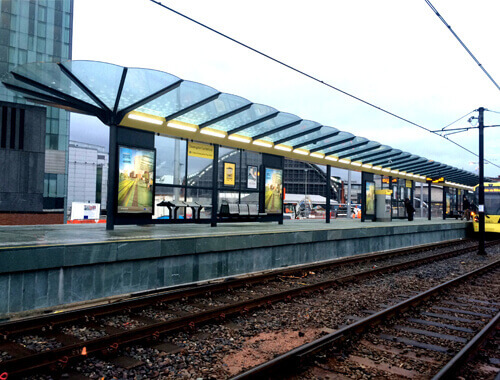 Perfect for city centre transport stops, the Deansgate Integra Shelter provides passengers with optimum safety, comfort and protection without compromising on contemporary architectural aesthetics and detailing. Robust and vandal resistant, the quick-release fixings make maintenance easier but reduce vandalism due to their tamper-proof features. 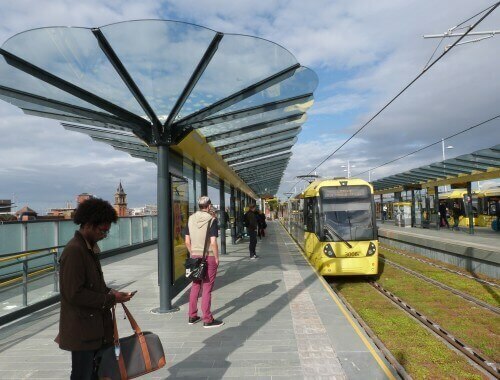 In order to keep up with the fast-paced environment of modern cities, we have designed our Deansgate shelter to be technologically enabled to accept CCTV, audio PA, kiosks and RTPI displays, as well as other advanced information systems, such as solar power. We manufacture all of our shelters to be robust and durable in order to deal with the heavy traffic they will experience. 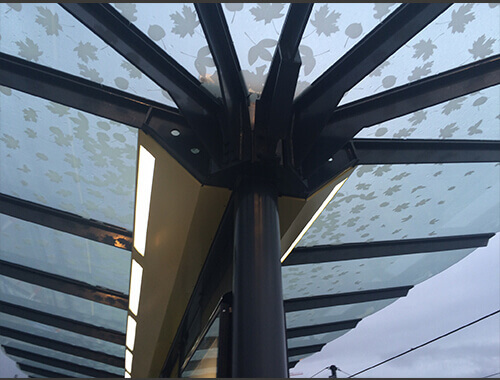 Using engineering-grade materials and construction techniques, we can install the Deansgate Integra Shelter in a range of sizes and configurations to BSI structural standards and regulations. Fully DDA and ADA compliant, our shelters promote inclusivity for all members of the public.